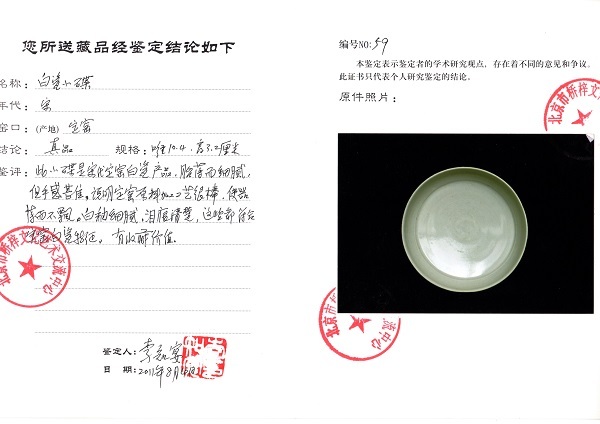 Appraisal: This white porcelain dish was made in the Dingyao Kiln of the Song Dynasty. 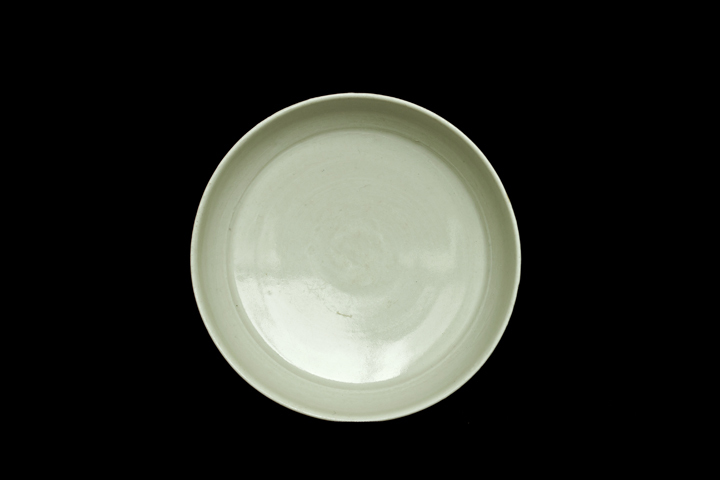 Its clay body is very thin, fine and smooth, and feels extremely good, which indicate that the processing craftsmanship of the raw material of the Dingyao Kiln was excellent. 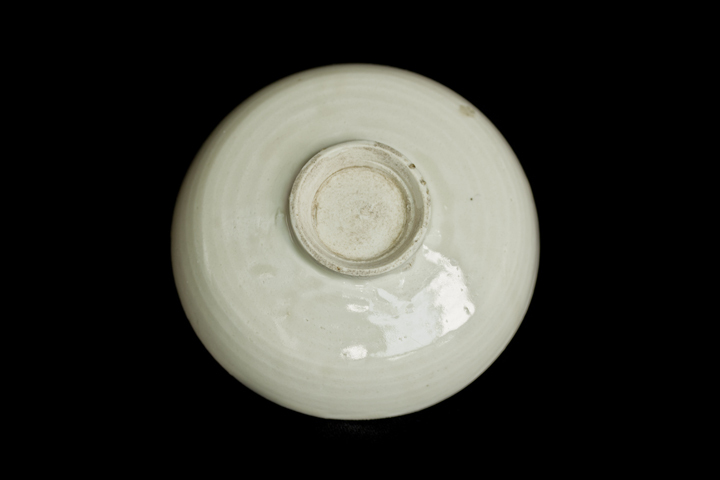 The Ding ware is thin but not frivolous. 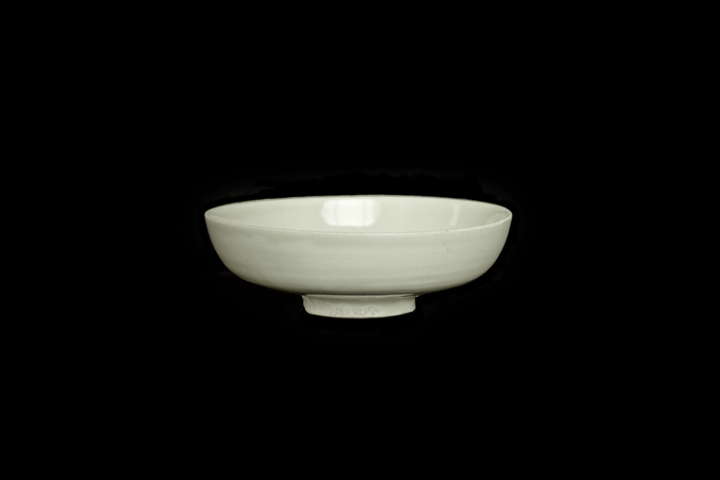 The dish’s white glaze is very fine and smooth, with very clear tear stains — these are in line with the characteristics of the white porcelains of the Ding ware. Highly collectible.